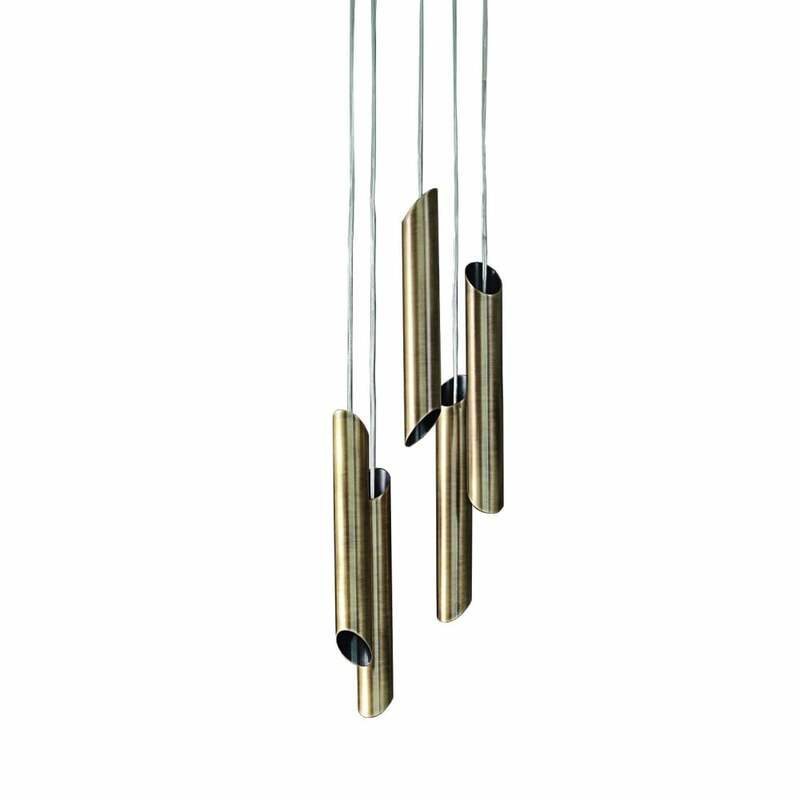 Bring a touch of hotel chic to your home interior with the Bamboo Chandelier from the Daytona range at Signorini & Coco. Hand-sculpted in burnished brass, this stylish chandelier features five graduated drops of cylindrical shades. The perfect finishing touch for a sophisticated interior, hang above a dining table or use to illuminate a reading corner in a living room. Style with the Bolton Table and Julia Chairs from the Daytona range for a luxe look inspired by Hollywood glamour. A matching floor and wall lamp are available to create a layered ambience. Make an enquiry for more information.